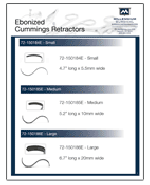 Ebonized Cummings Retractors	Small, medium, and large ebonized cummings retractors. 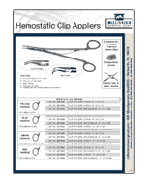 Hemostatic Clip Appliers	Clip appliers for small, medium, medium-large, and large clips, along with cartridges. 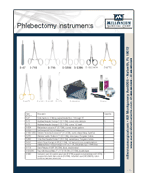 Phlebectomy Instruments	A variety of instruments for phlebectomy procedures including forceps, scissors, retractors, needle holders, hooks, and extractors. 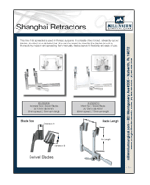 Shanghai Retractors	Rib spreaders for use in thoracic surgeries. 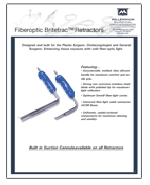 Consists of two broad outwardly-curved blades that swivel on a ratcheted bar. 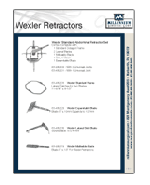 US Made Retractors	Self retaining and hand-held retractors, rib spreaders, and contractors including Lexler, Balfour, O'Sullivan-O'Connor, Wylie, St. Marks, Deaver, Universal Ring Retractors, ratchets, and blades. 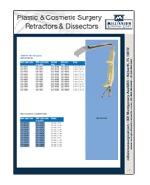 Orthopedic initial incision, Charnley retractor, frame, weight, and blades.